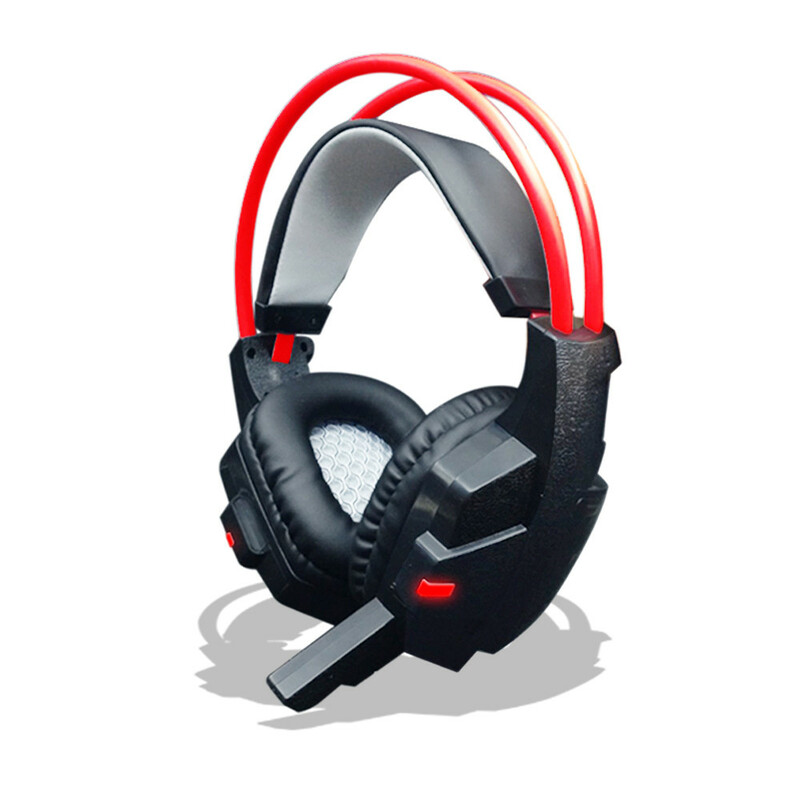 This is a primary kind of gaming headset, which brings you vivid sound field, sound clarity, sound shock feeling, capable of various games. Its super soft earcups are more comfortable for long time wear, and glaring LED light highlights the atmosphere of the game! High precision magnetic neodymium driver, bring you vivid sound field, sound clarity, sound shock feeling, capable of various games. Used with skin-friendly leather material, and super soft Over-ear pads that is more comfortable for long time wear. Left earcup with a volume controller, more convenient to use. The expansion part of headband is made of stainless steel, strong hardness and toughness and wear-resisting. Exquisite craftsmanship and cool appearance.